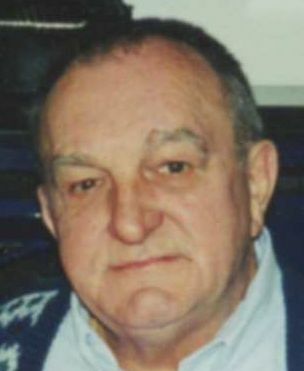 Stanislaw "Stan" Kreft, 87, Michigan City, Indiana, passed away Sunday, January 27, 2019 at 11:33 pm in Franciscan Health - Michigan City. Private family services were conducted. The Ott/Haverstock Funeral Chapel, Michigan City, IN is handling arrangements. He was born April 29, 1931 in Gdynia, Poland to the late Anthony and Clara (Formela) Kreft. On September 24, 1960 in LaPorte, IN he married Sharon Schindler who survives in Michigan City, IN. Also surviving are two daughters, Maria (Bruce) Craver of Maryland and Laura Blumer of Alabama; two sons, Michael (Maribelle) Kreft and Steven Kreft, both of Indianapolis, IN; four grandchildren, Benjamin Blumer, Daniel Blumer, Morgan Craver and Heather Nelson; sister, Jadwiga of Poland; and two brothers, Stefan and George, both of Poland. He was also preceded in death by a sister, Teresa; and two brothers, Bruno and Edward. Stan had worked as a machinist/millwright at Joy Mfg. and at National Can. He enjoyed the computer and visiting with his friends offering them his famous "cherry juice".